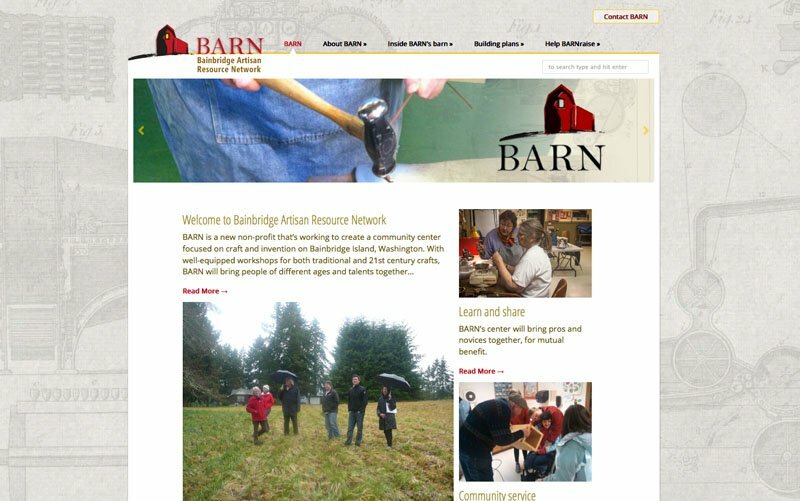 Bainbridge Artisan Resource Network or BARN is a nonprofit that’s working to create a community center focused on craft and invention on Bainbridge Island, Washington. 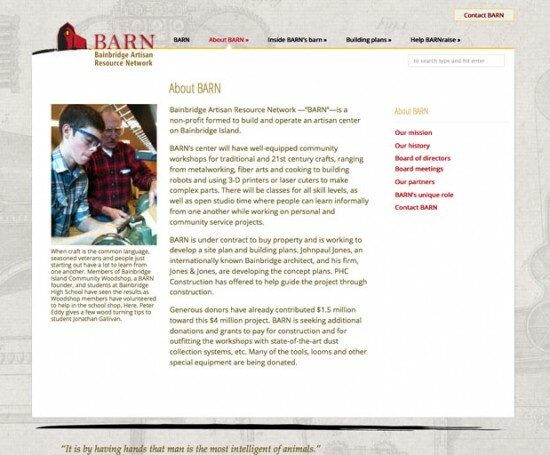 A fledgling organization at the time, BARN needed instant credibility, a sense of artistry and craft, and a site that could expand to handle a growing number of members, classes, and events. I built a responsive site with a Masonry tiled front page where a growing number of features could be displayed with teaser text and links. 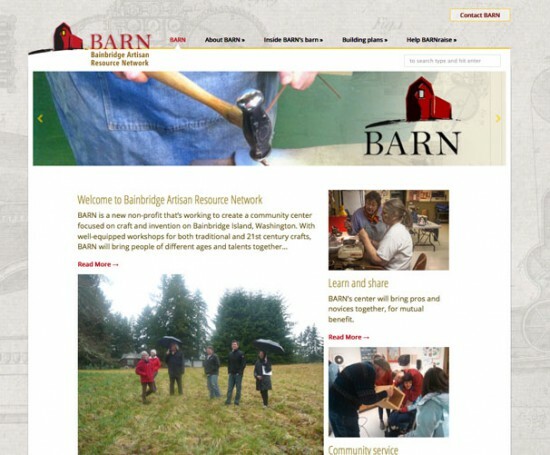 BARN also needed a logo. We obliged. 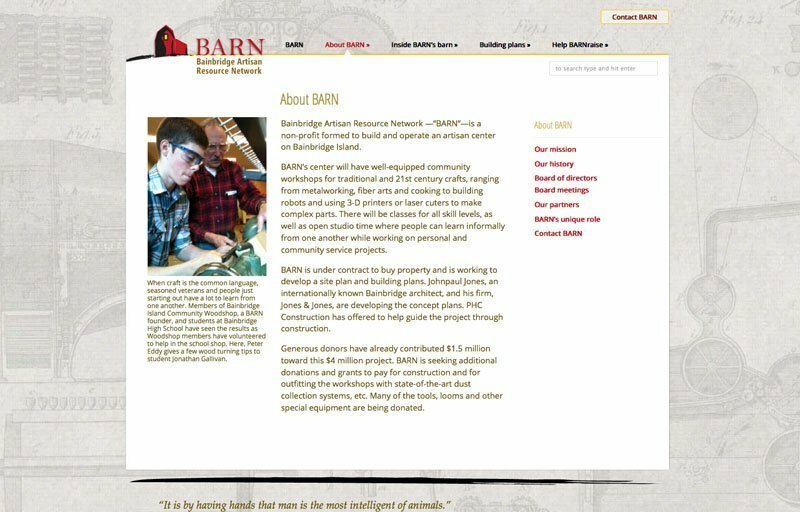 In order for BARN to handle all the aspects of memberships and classes within WordPress, we would have to cobble together to many plugins. We opted to use WildApricot in conjunction with the WordPress site.